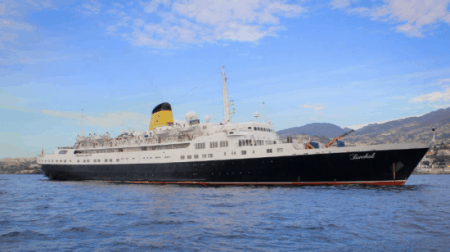 The historic vessel was recently sold by public auction to the British hotel group ‘ignature Living’ for three million and 910 thousand euros. The news is advanced by several Portuguese media. Remember that the vessel was in the process of selling from 3 pm today, with the sale to start with a minimum value of 2.3 million euros. Before the start of the sale, there were three interested parties (a Turkish, French and Portuguese group) besides the English group that won the bid. One of the possible destinations is the transformation of the package into a kind of ‘floating hotel’ or ‘student accommodation’.